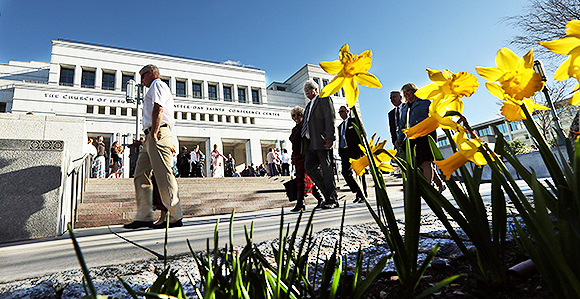 The Church of Jesus Christ of Latter-day Saints invites people around the world to participate in general conference twice a year. In these meetings, the First Presidency, members of the Quorum of the Twelve Apostles, and other General Authorities and General Officers of the Church deliver messages of inspiration and guidance. The general priesthood and general women’s sessions are held once a year, with the general priesthood session in April and the general women’s session in October. All sessions will be streamed live on the home page of ChurchofJesusChrist.org. They are also available via the Church satellite system, Mormon Channel, radio, television, satellite, and other digital channels. See Viewing Times and Options for more details. For specific times, languages, and rebroadcast information, refer to the Church broadcast schedule. Live video in 27 languages. Some languages will appear on the home page of ChurchofJesusChrist.org and others will appear on the language pages. Live video in the following 12 languages: American Sign Language, Cantonese, English (including closed captioned), French, German, Italian, Japanese, Korean, Mandarin, Portuguese (including closed captioned), Russian, and Spanish (including closed captioned). Live video in the following 11 languages: Cantonese, English (including closed captioned), French, German, Italian, Japanese, Korean, Mandarin, Portuguese (including closed captioned), Russian, and Spanish (including closed captioned). Closed captions are available at ChurchofJesusChrist.org in English, Spanish, and Portuguese by choosing the CC button on the LDS Media Player (Flash). Also available in English on Apple iOS devices by going to the video settings on the device and turning on closed captions. Video in the following 11 languages: Cantonese, English (including closed captioned), French, German, Italian, Japanese, Korean, Mandarin, Portuguese (including closed captioned), Russian, and Spanish (including closed captioned). (Search for general conference under the “Spiritual” category.) Available in the United States, the United Kingdom, Ireland, and Canada. Follow the members of the First Presidency and the Quorum of the Twelve Apostles on Facebook and Twitter for more inspiration during general conference weekend and throughout the rest of the year. The Church’s Facebook and Twitter accounts will also be sharing the posts and tweets from the Brethren. The Church’s Twitter and Instagram accounts will share text, photos, memes, and videos. Video cached streams of the full sessions will be available right after each session ends. 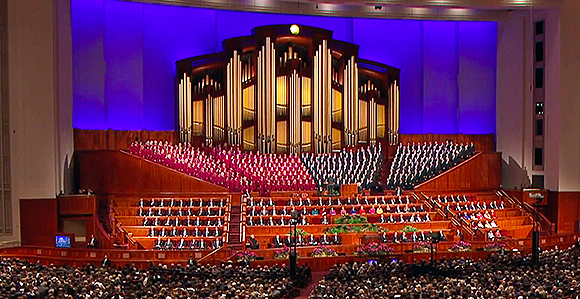 Divisions into individual talk and music segments in many languages will begin appearing after 8 hours and will be completed within 24 hrs of the broadcast on conference.ChurchofJesusChrist.org, podcasts, iTunes, and YouTube. Video and audio will be available on ChurchofJesusChrist.org in over 80 languages and on the Mormon Channel in iTunes (in many languages) within 8 hrs of the broadcast. English text will be available at conference.ChurchofJesusChrist.org and in the Gospel Library app a few days after conference. Text in other languages will be posted in the following weeks. 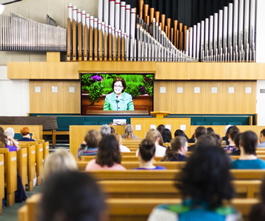 Read more detailed information about when general conference addresses will be available in video, audio, and text formats. Find all conference talks in printed copies of the May issue of the Ensign and Liahona magazines. The May issues of the New Era and the Friend also contain conference messages and features. You can subscribe to get an extra conference issue of the Ensign and Liahona. Which of these ways will you use to watch conference? Take the poll below. You can listen to General Conference live and also recorded sessions afterward on an Android device with LDS Podcasts Free. Conference broadcast for Ntinda Ward Kampala north Uganda stake is this Saturday and Sunday.